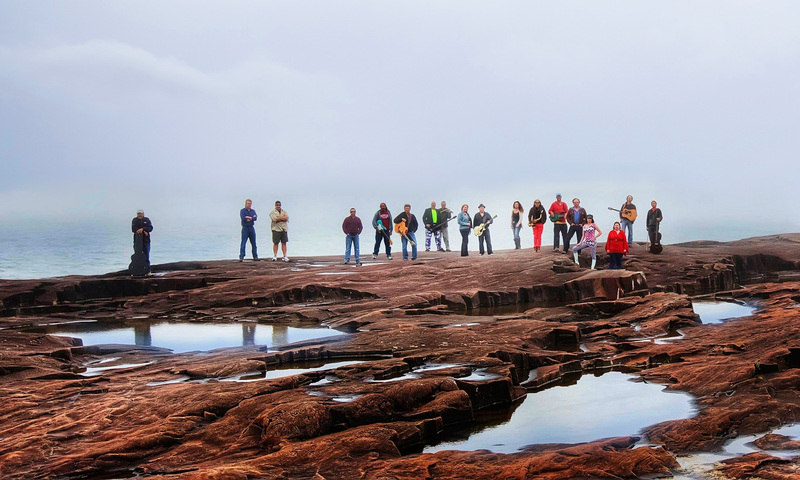 The Grand Marais Music Collaborative – Music to our ears! The Grand Marais Music Collaborative promotes the social and cultural welfare of the region by fostering a high quality musical experience for local and regional audiences, designed to develop and promote musical performance skills, character, leadership skills, integrity, and self-discipline, in an environment of teamwork and diversity. The Grand Marais Music Collaborative (GMMC) is looking for students and instructors to participate in our youth music lesson program. After school lessons will be taught in the CCHS band room by talented area instructors, and will beneﬁt area youth ages 12 and up. All instructors will be screened and available for interviews to ﬁnd the best match for each student based on skill levels, instrument of choice, and other areas of compatibility. Students who qualify for our program participate free of charge. If you are interested, please fill out the application listed below. Instructors are currently available for Jazz guitar, electric guitar, acoustic guitar, bass, drums, keyboards, ukulele, upright bass, voice, ﬂute, and other instruments. The Grand Marais Music Collaborative (GMMC) promotes the social and cultural welfare of the region by fostering a high quality musical experience for local and regional audiences, designed to develop and promote musical performance skills, character, leadership skills, integrity, and self-discipline, in an environment of teamwork and diversity. We are dedicated to supporting local musicians (“local” meaning that portion of the entire Universe that is centered around Grand Marais, Minnesota!) by providing opportunities, referrals, education, and whatever else our local musicians need to be successful. Do your part in keeping the Grand Marais Music Collaborative great by donating today. The GMMC is a 501 (c)(3) organization and donations are tax deductible and will help ALL the GMMC musicians. The Grand Marais Music Collaborative is a Minnesota not-for-profit corporation, federally exempt as a public charity under IRS Code 501 (c)(3) to provide services in support of music and musicians in and around the Grand Marais, Minnesota area.